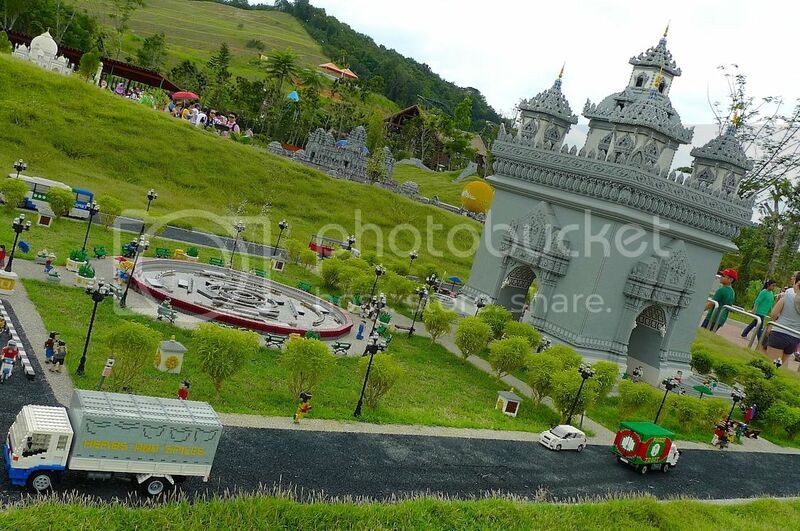 This is my last post on Legoland Malaysia, I promise! You can now breathe a sigh of relief haha! 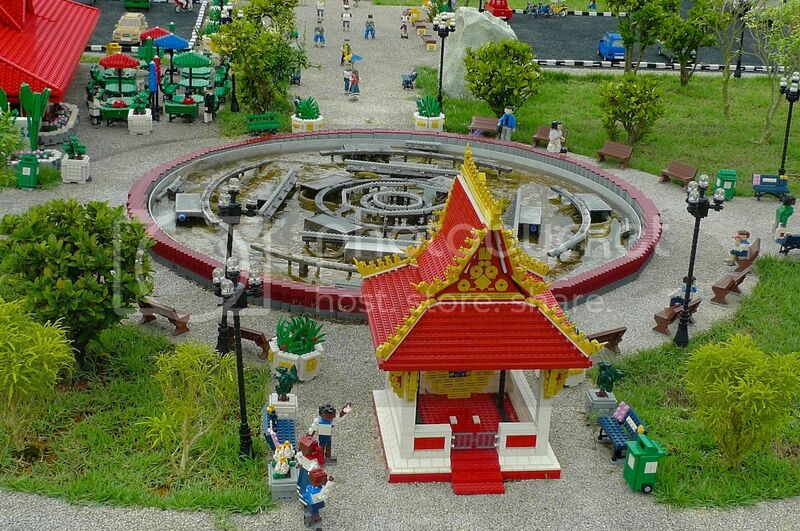 Anyway, continuing from Part 5 where I posted pictures of miniature landmarks from Singapore, Thailand and Myanmar (all built using Lego bricks), let's move on to another neighboring country - Vietnam. 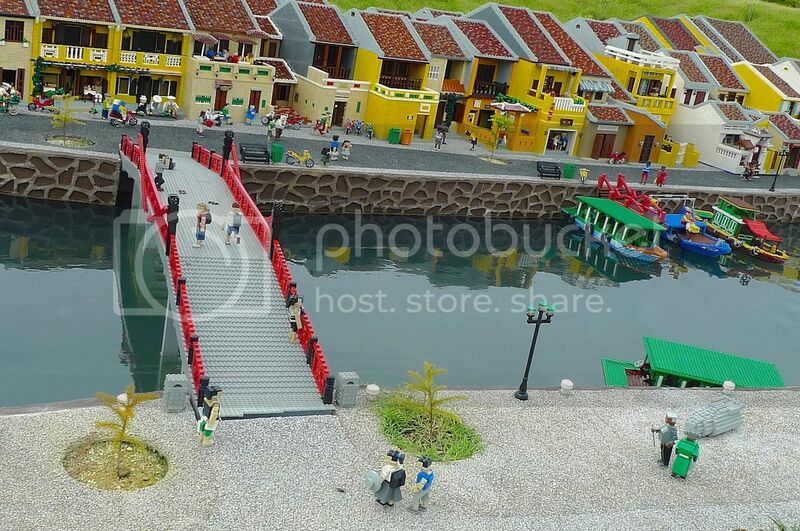 Below is Hoi An, a city in Vietnam on the coast of South China Sea. 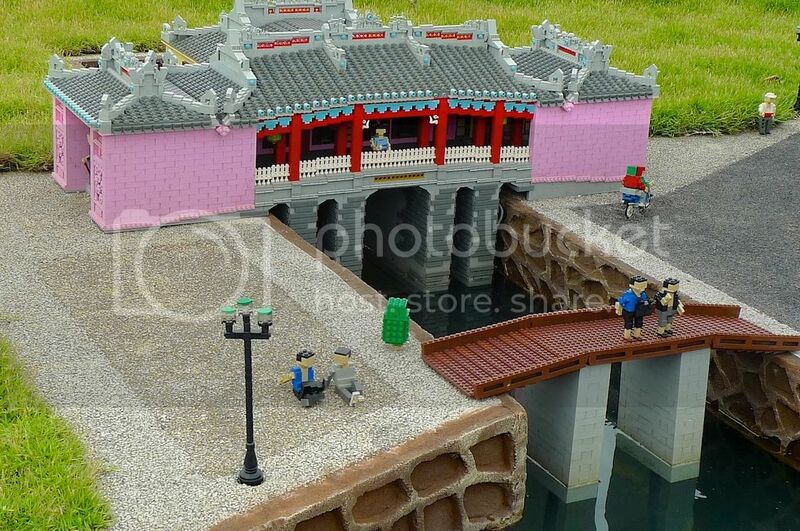 It was a major trading town for Chinese, Japanese, Dutch and Indian merchants in the 16th and 17th century. 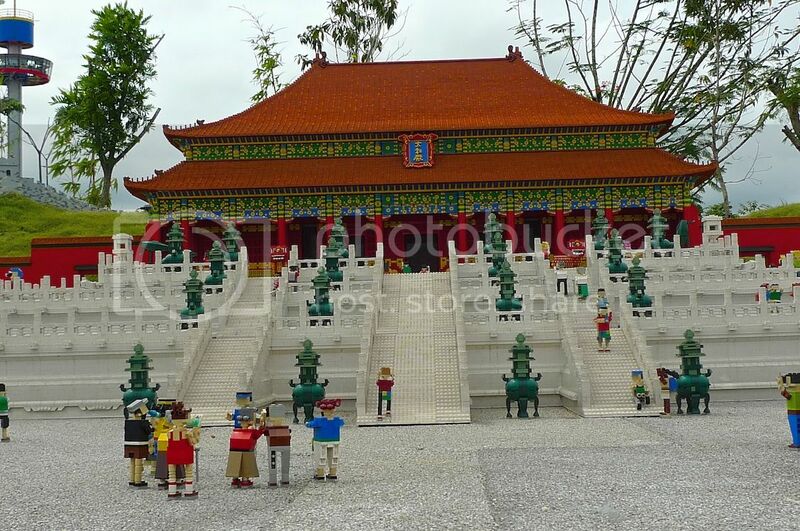 Today, it is a tourist attraction and a UNESCO World heritage site. 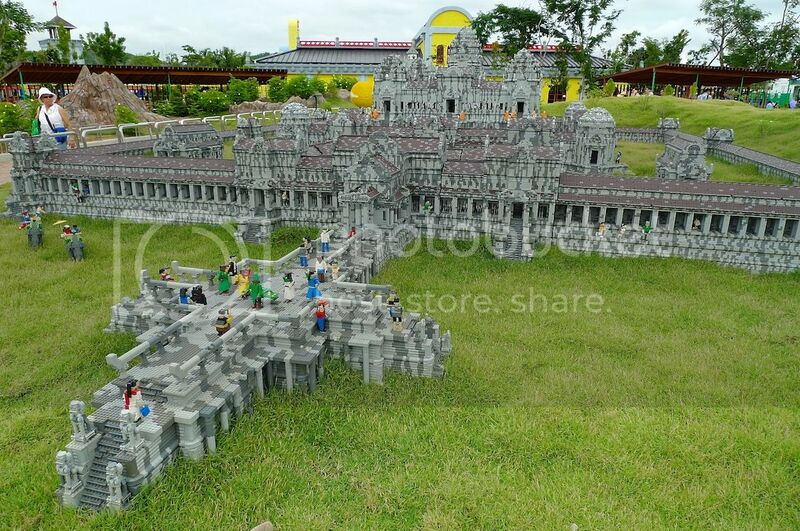 I have not been to the real Hoi An - maybe I will go there one day to visit its historical buildings. 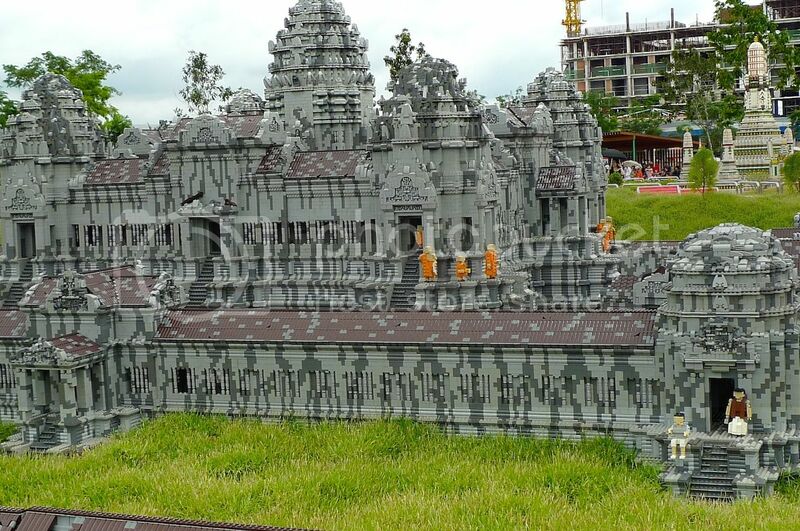 Next to the miniature Hoi An landmark is the Angkor Wat in Cambodia. 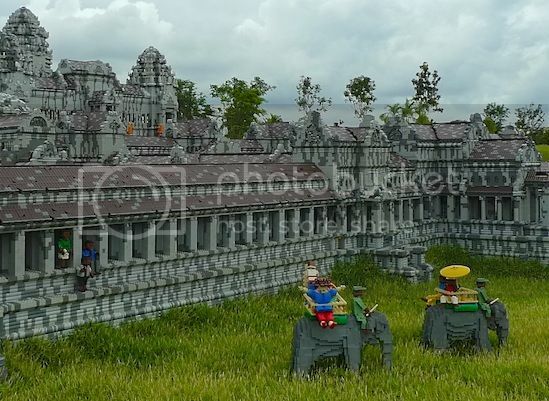 I was amazed that they were able to recreate the Angkor Wat using Lego bricks! Can you see a building under construction at the distance on the upper right corner of the photo below? 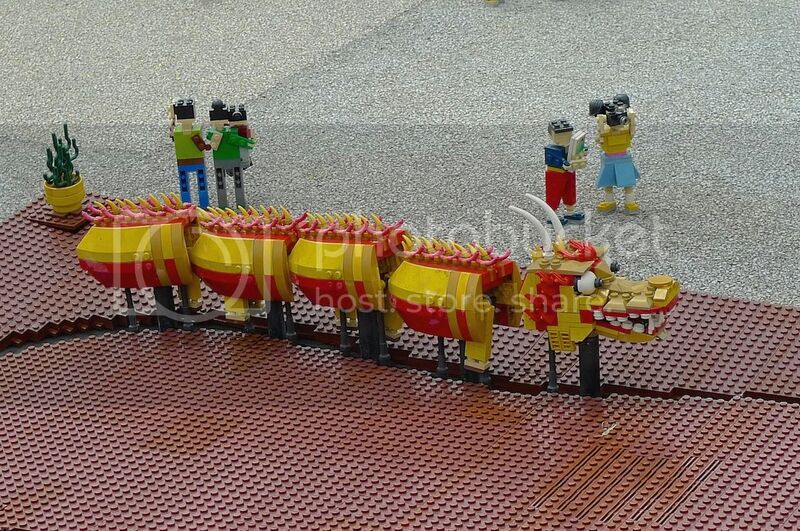 That's a real building - NOT made from Lego bricks haha! 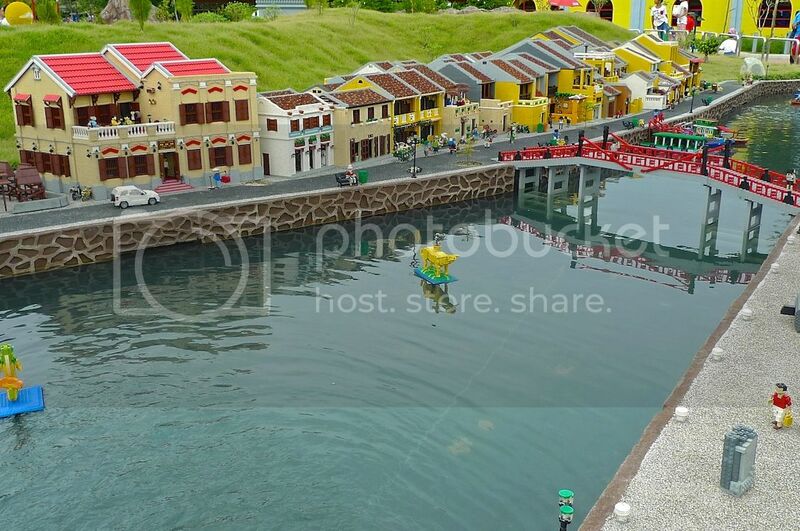 It's the new Legoland Hotel which is expected to be fully completed by early 2014. 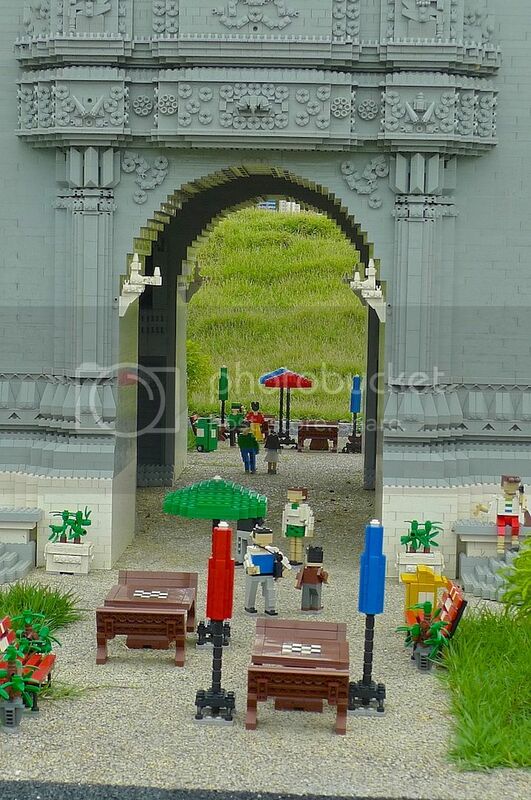 Next, we move on to Vientiane, the capital city of Laos. 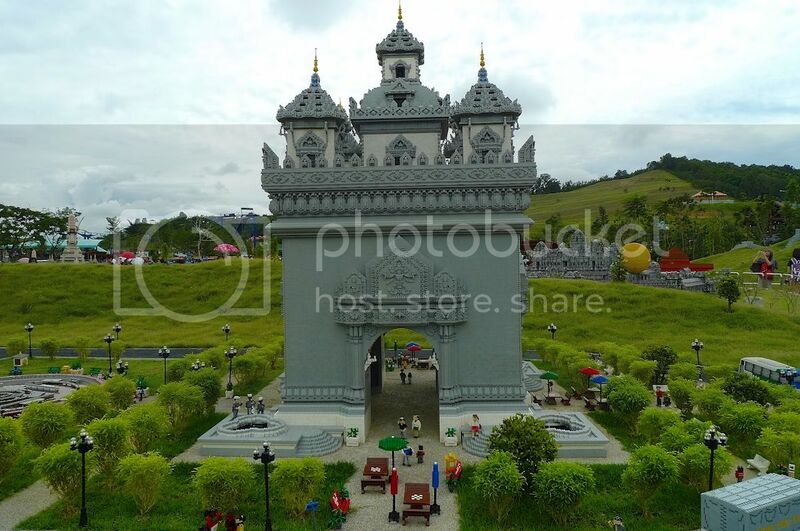 Below is the photo of Patuxai, the monument to victory, which is located in the center of Vientiane. Built between 1957 and 1968, it is dedicated to those who fought in the struggle for independence from France. The actual monument is made from cement that was originally meant for building an airport! In front of the Patuxai is a musical fountain although the fountain was not working on the day I visited. 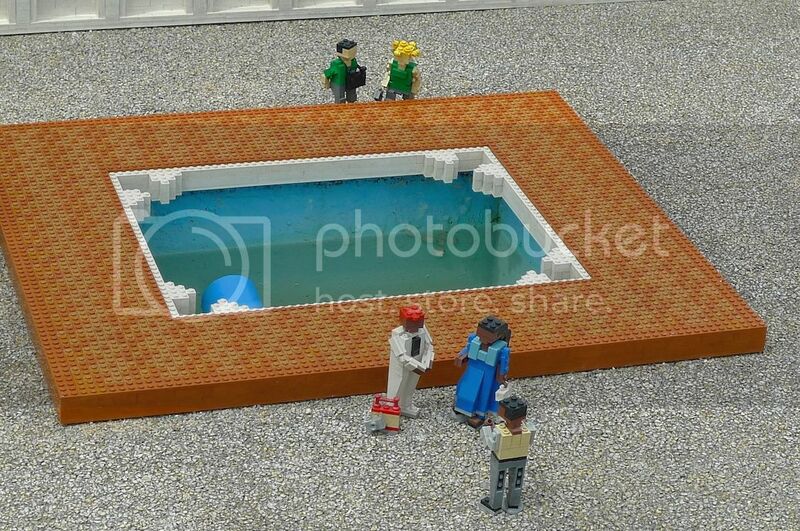 Or perhaps it is not supposed to work - I mean, it will be too much to expect Legoland to recreate a musical fountain right? 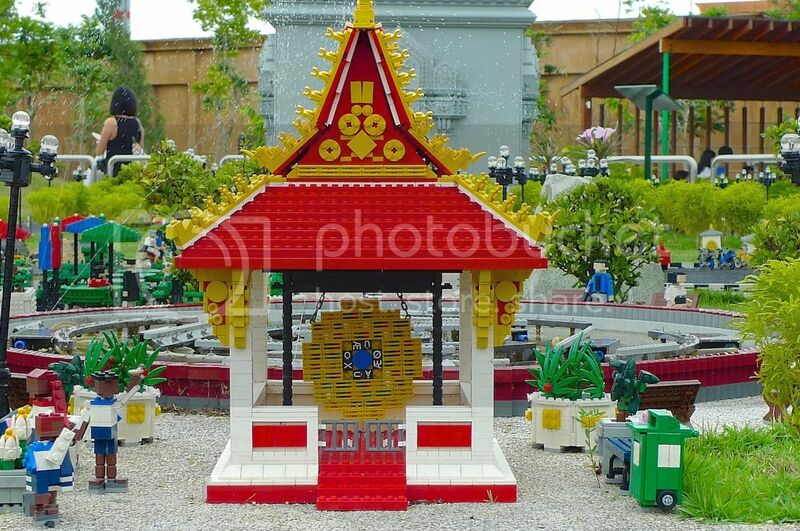 In 2008, Laos was presented with this World Peace Gong by the World Peace Committee of Indonesia in honor of Laotian stability and peace. A closer shot of the World Peace Gong. 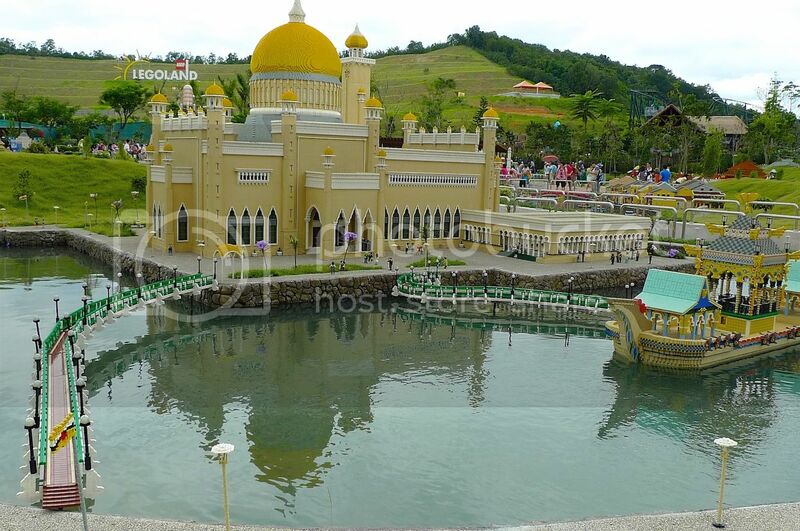 Moving on, we have the Sultan Omar Ali Saifuddin Mosque in Brunei. 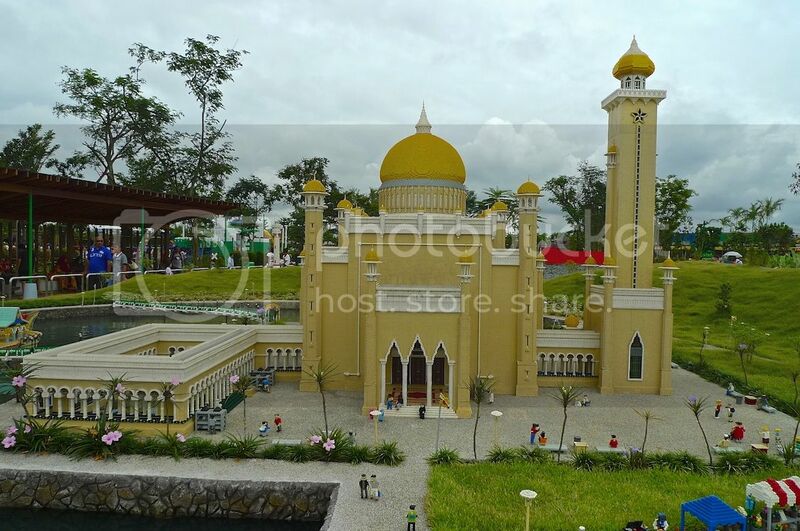 This beautiful royal mosque is located in Bandar Seri Begawan. 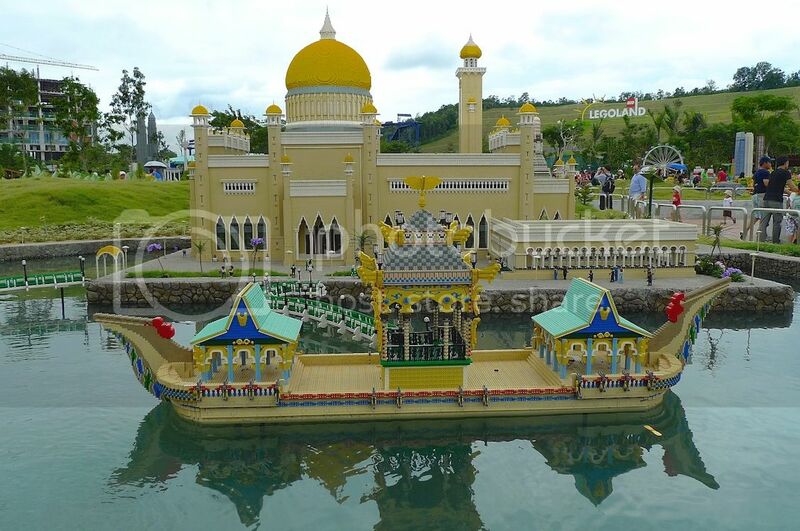 It is named after the 28th Sultan of Brunei. Guess what? Its largest dome is covered in pure gold! 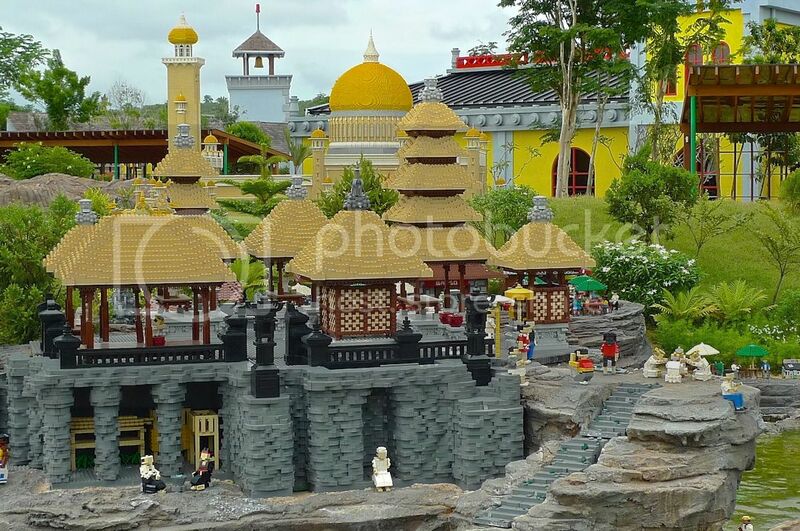 Of course I am talking about the actual mosque not this miniature Legoland version, otherwise the dome will no longer be there! LOL! 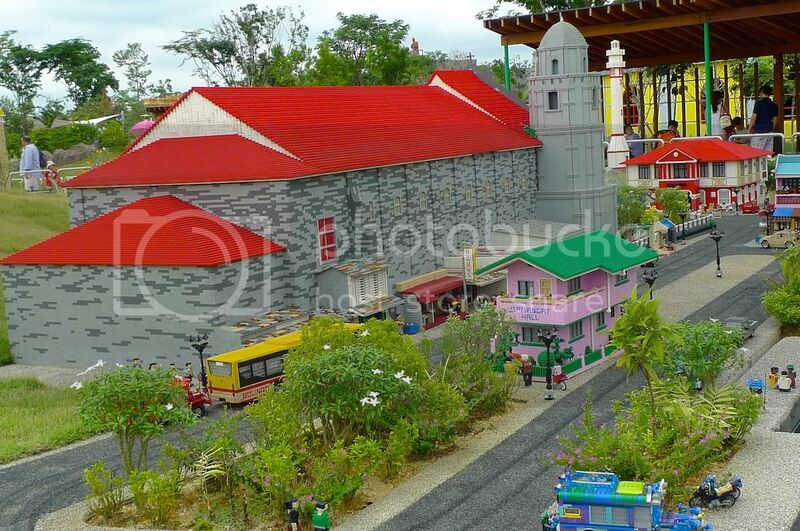 Walking in this Miniland at Legoland Malaysia is like traveling around the world on foot! Just a short distance away from the royal mosque in Brunei is the thriving fishing town of Bolinao in the Philippines. 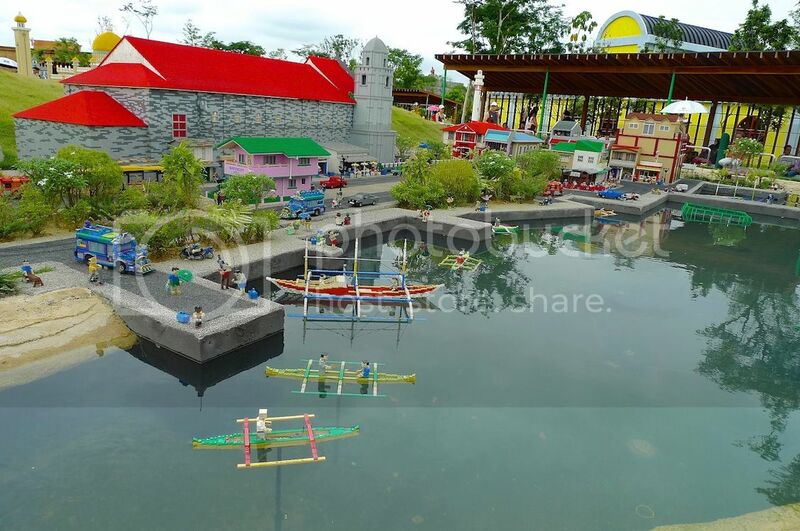 I would have thought they would do a Lego version of Manila or something but maybe Bolinao is more interesting. 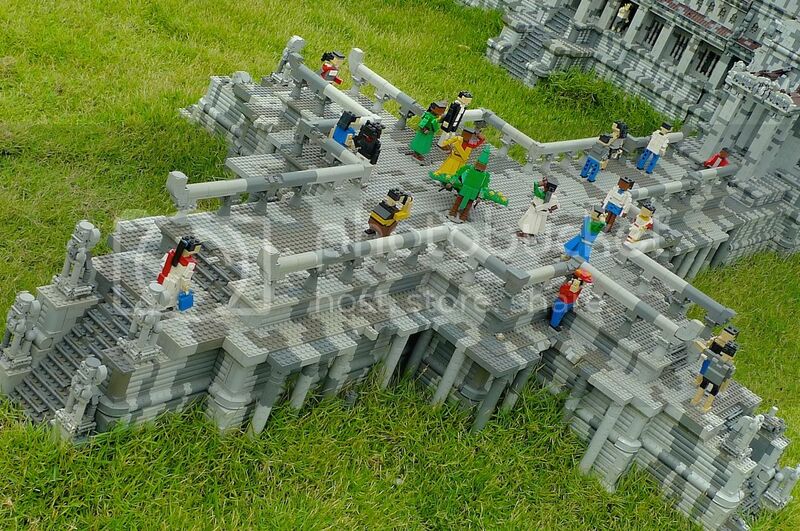 I would have loved to see the Manila Cathedral of Intramuros built using Lego bricks though. 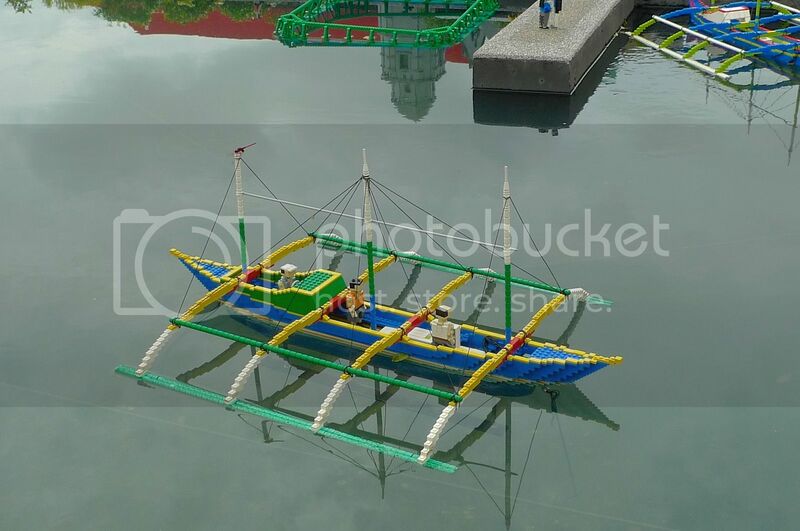 Bolinao is located on the coast of Luzon Island. 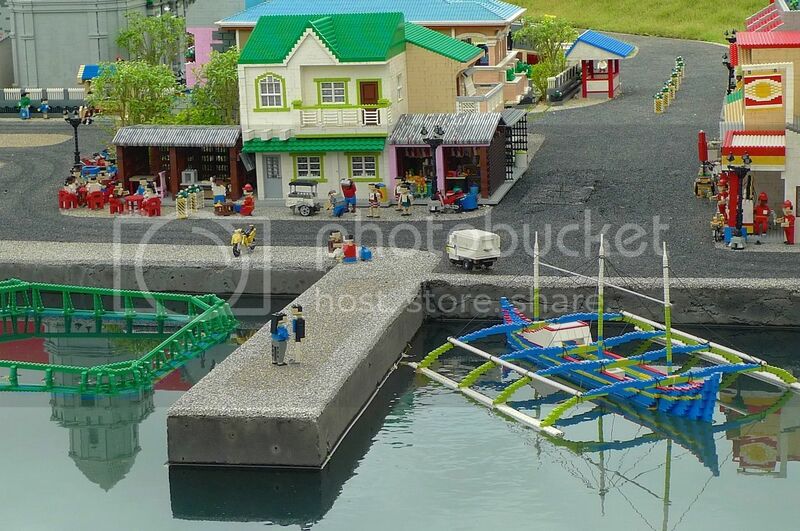 Visitors and tourists come here to see the colorful fishing boats and to visit the beautiful beaches nearby. 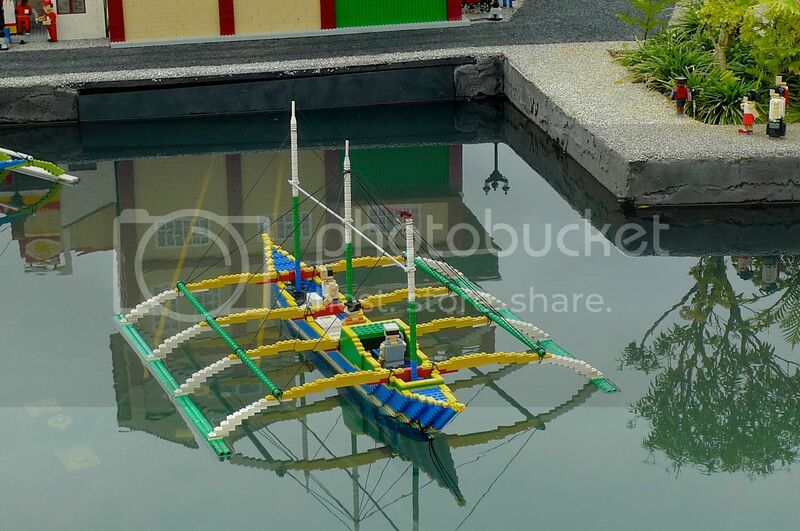 The colorful fishing boat reaching land. 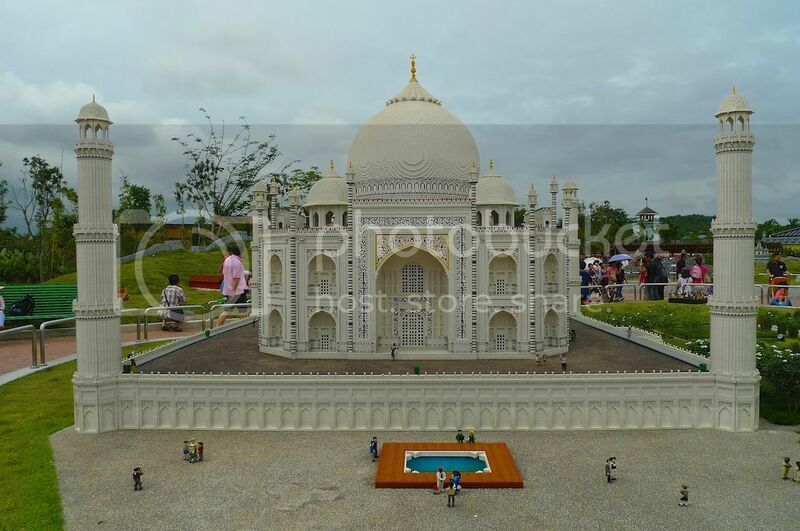 From the Philippines we 'fly' to India to visit its famous Taj Mahal. 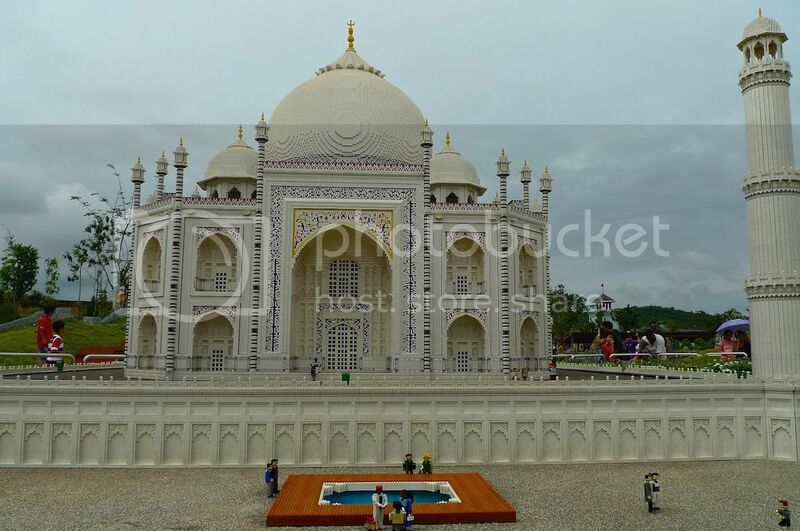 I've not been to the real Taj Mahal in India but what is that small pool in front of the building? 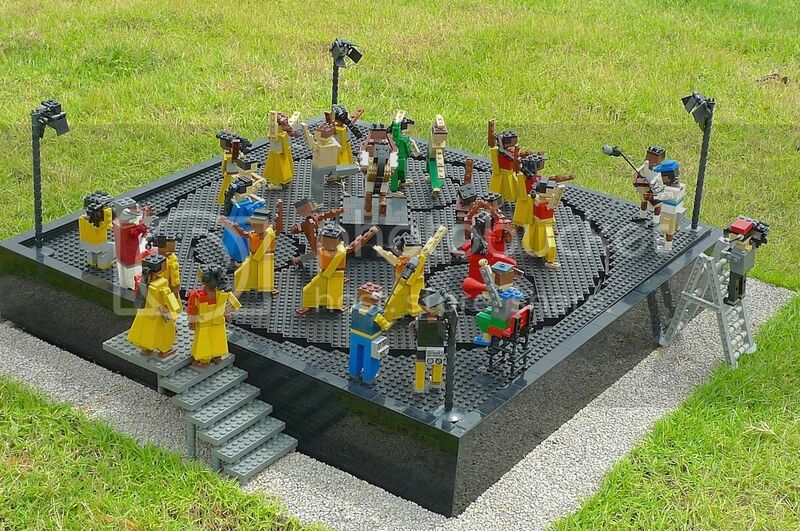 An Indian dance in progress? Elephants on the grounds outside Taj Mahal. 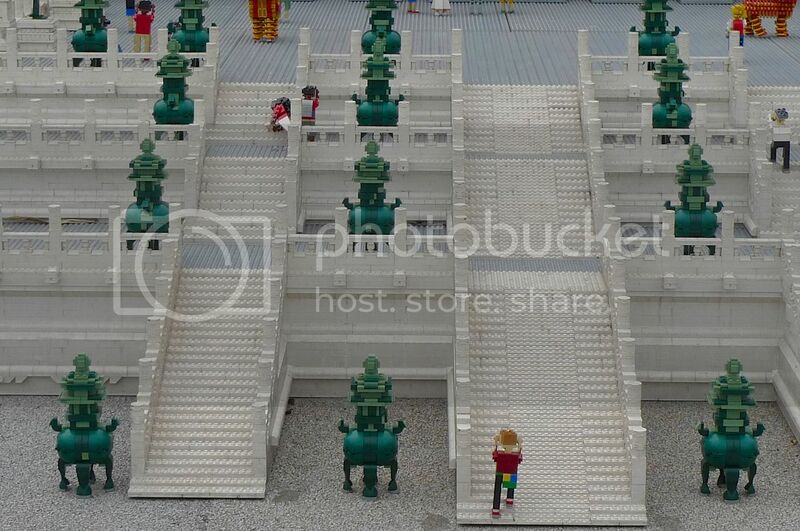 Next, we visit the Forbidden City in China. 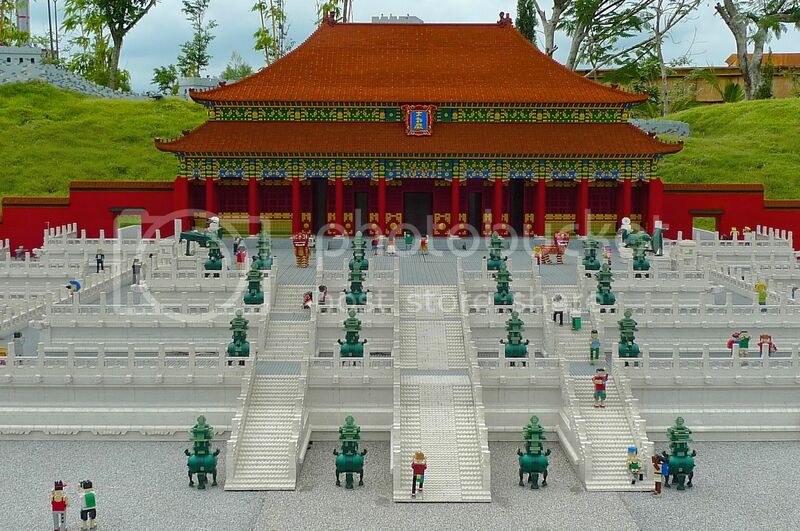 The Forbidden City was the Emperor's Palace of the Ming and Qing Dynasties - which is more than 500 years ago. 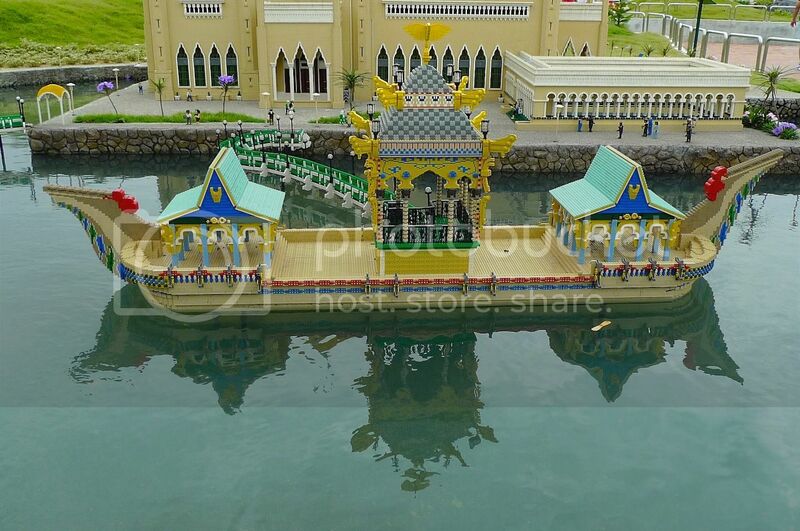 The entire palace which has more than 980 buildings and covers 720,000 square meters, is beautifully re-created here at Legoland. 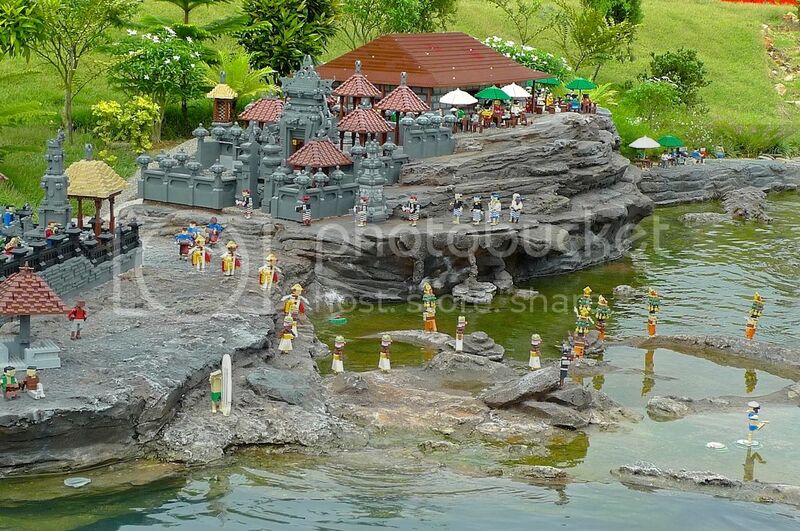 Lastly, we move over to Tanah Lot in Bali, Indonesia. 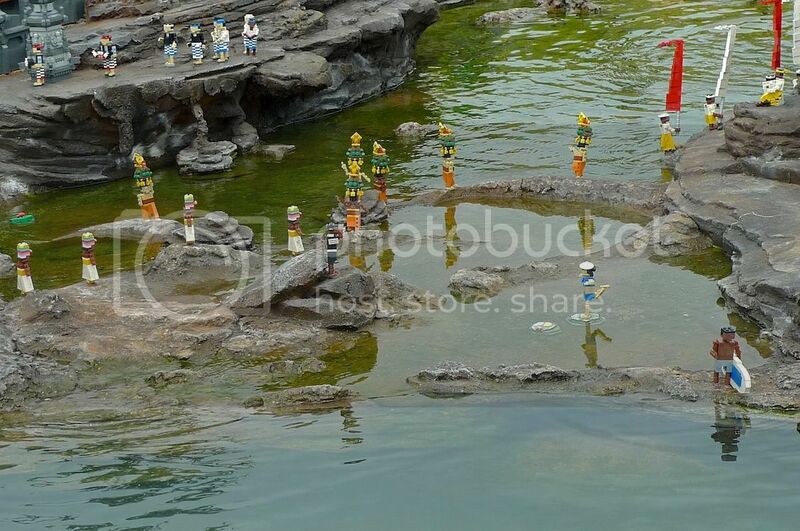 Tanah Lot is a rock formation on the coast of Bali. Sitting on top of this rock is Pura Tanah Lot, a beautiful Hindu temple. 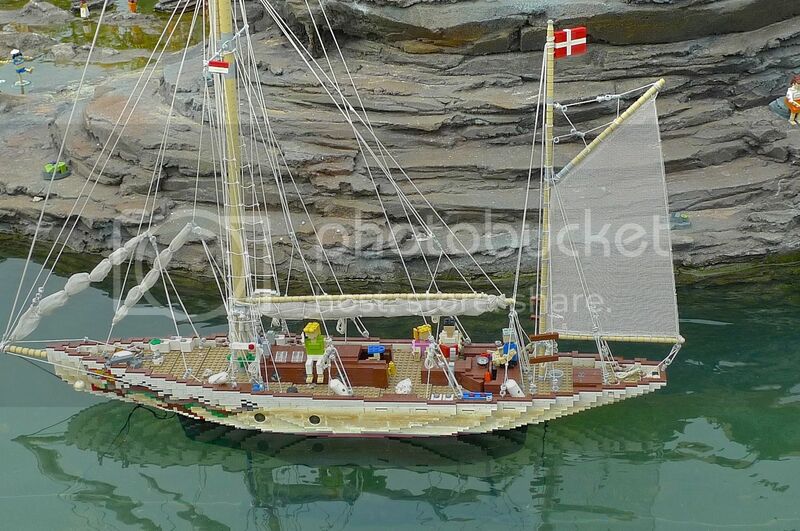 The above picture shows a ship sailing around the temple although I have never seen any boat or ship near the it during my visit there a few years ago. 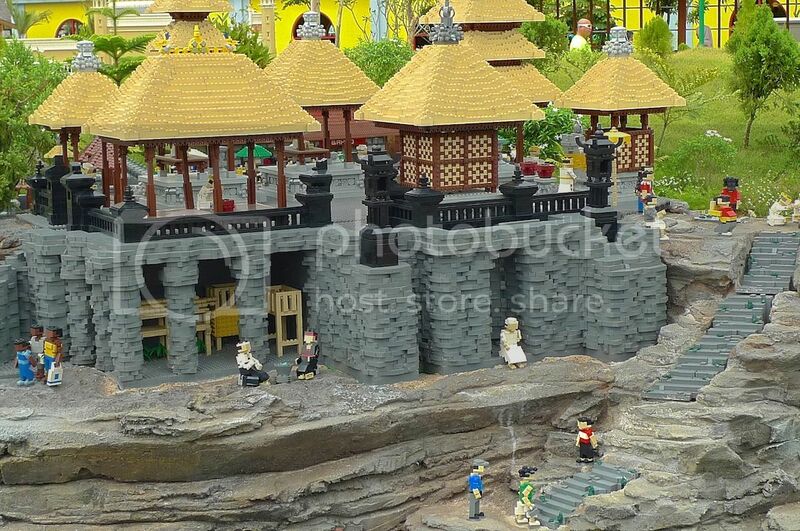 Read More > Why I Must Visit Tanah Lot Again! 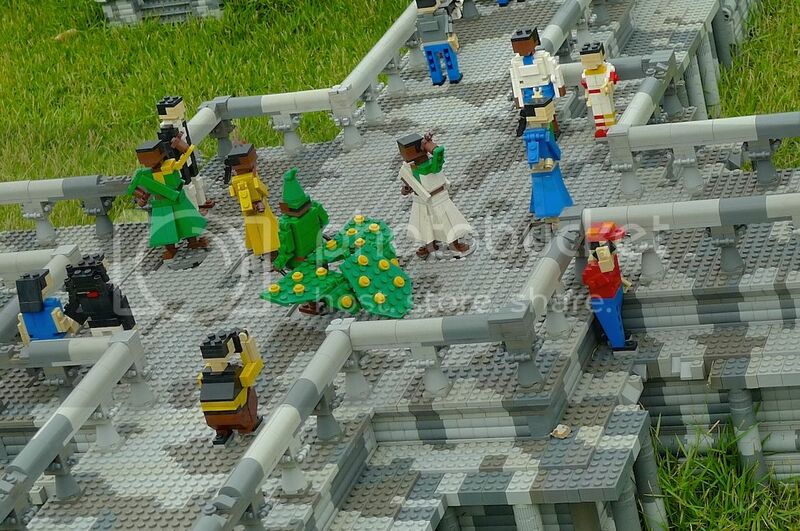 Zoomed-in shots of the temple. 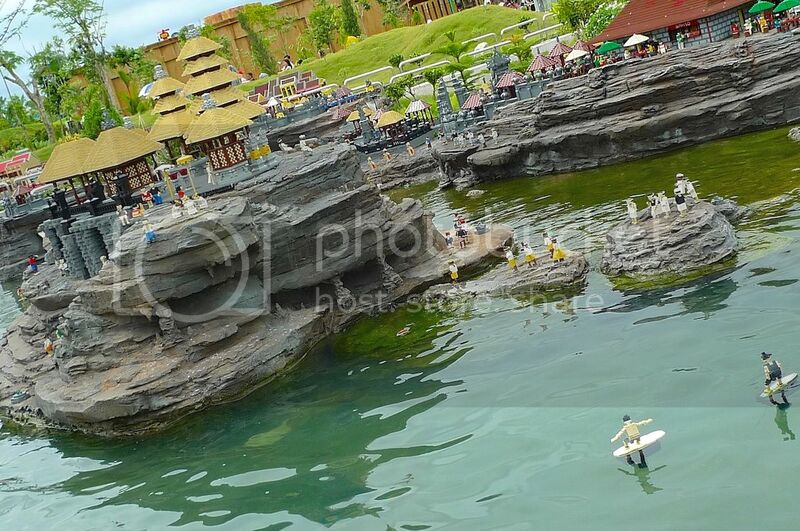 I was quite impressed with the Legoland version of Tanah Lot! 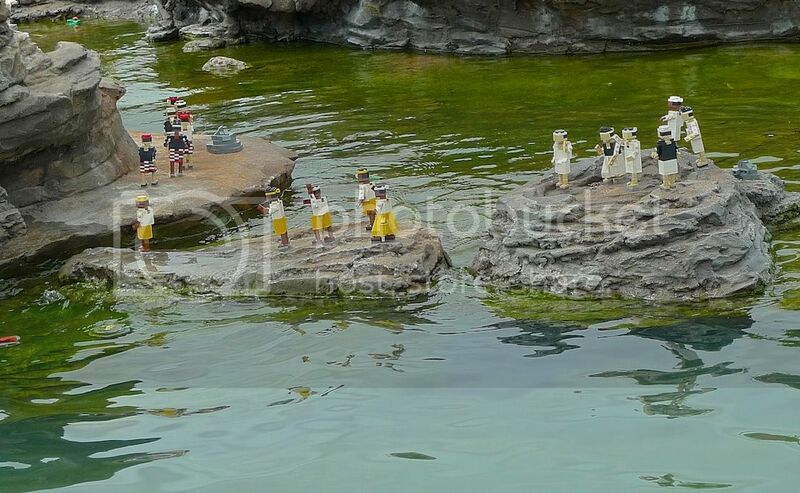 I enjoyed looking at the tiny people on the rocks! 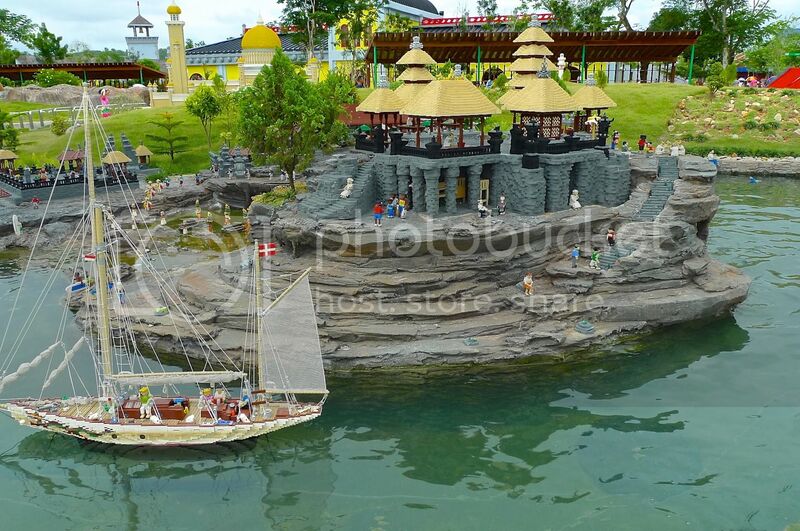 This Bali landmark is one of my favorites amongst the 12 Asian countries showcased in the Miniland area of the Legoland theme park. 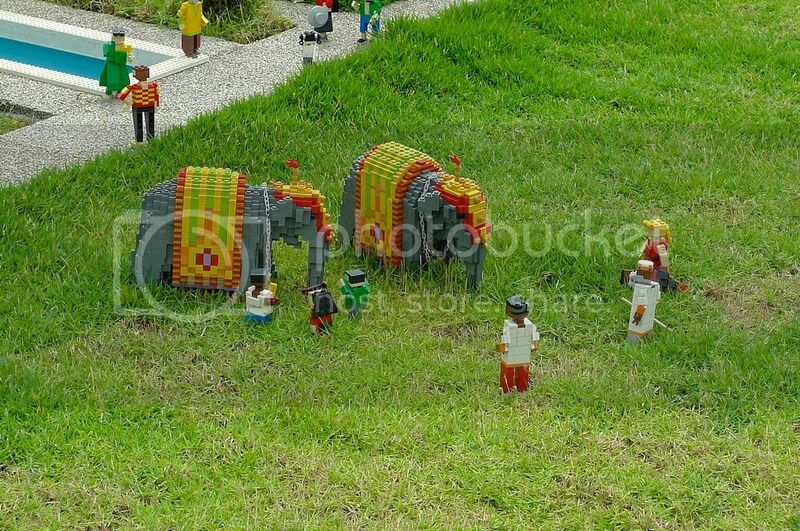 I wonder if Legoland will add more countries in the future. I will surely visit again! 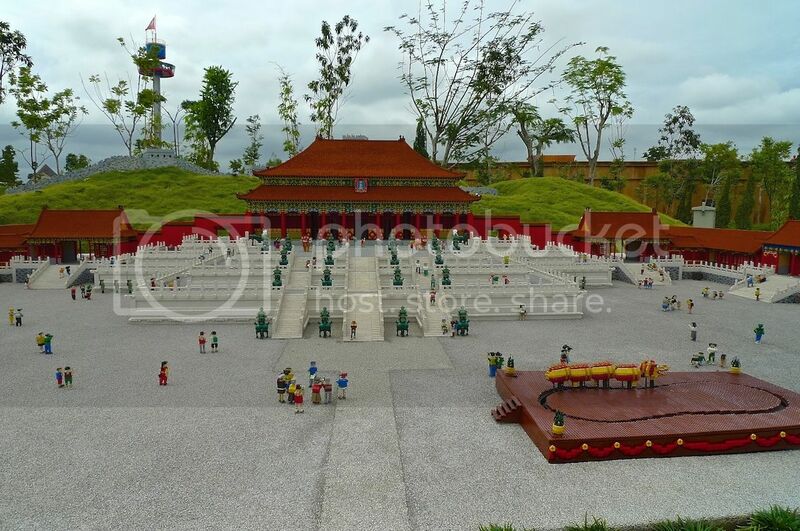 If you missed any of my Legoland Malaysia posts, here are the complete links.